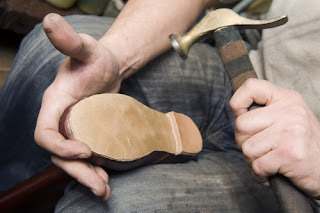 Communicators, particularly those working within the organization or company they serve, have a tendency to wind up like the shoemaker's children: barefoot and without the benefit of promotion and training, two of the things they sell to others. It's not like you haven't thought of it. But when it comes to promoting your own work, many communicators respond defensively: Doesn't everyone know what we do? Don't you think we have enough to do? Isn't that shameless self-promotion? Of course, the answer to those questions often is "no." Everyone doesn't know what you do, or has the wrong idea about it. They may be new or only remember what your predecessor didn't do for them 10 years ago. Why drop the ball on the activity most likely to ensure your operation's future success? Nor is it shameless. Think of it as B-to-B marketing if you like. Just don't forget that your customers, internal though they may be, need to understand what it is you do and why that adds value to their piece of the operation. I'm not talking, by the way, about entering awards programs and promoting the prizes you've won. The feedback loop needs to be built within your organization, not come from outside it. The trick for many of you may be to come up with what a former staffer of mine called "gentle self-promotion," an on-target description because you don't want to tip the balance too far. What are deft ways you can share information about those for-the-win moments? It might be as simple as an email or phone call to the department vice-president whose product or employee or research discovery got some coverage, so she can share it with her team. This is a great topic for your communications team to brainstorm from time to time, and then carry out as the final step in any effort. It's much the same with training and professional development. With all the changes going on in communications and social media, this is a time to be shaking and re-making your training agenda. That goes for everyone from the director on down the line, and even for topics you think you know well, from updated media interview skills to public speaking. There's not a team among my clients that isn't trying to do more with less right now--but those that are succeeding have been able to stretch their creativity and output thanks to strategic training, sometimes for the entire team at once. I spent my career as a top communicator within organizations, and I know that emphasizing client feedback and training for communications staff helped me stay effective--and those are the same skills I use in my own consultancy today, to make sure I stay fresh, flexible and focused on client needs. Think a little like an entrepreneur today. How can you get some shoes on the feet of your shoemaker's children? What are the barriers you're facing? What skills and gentle self-promotion have you built--or want to try?